St. John's is a parish of the Diocese of Newark, which is one diocese of the Episcopal Church and is a part of the Anglican Communion. Anglicanism stands squarely in the Reformed tradition, yet considers itself just as directly descended from the Early Church as the Roman Catholic or Eastern Orthodox churches. Episcopalians celebrate the “Mass” in ways similar to the Roman Catholic tradition, yet do not recognize a single authority, such as the Pope of Rome. Unique to Anglicanism, though, is the Book of Common Prayer, the collection of worship services that all worshipers in an Anglican church follow. It’s called “common prayer” because we all pray it together, around the world. The first Book of Common Prayer was compiled in English by Thomas Cranmer in the 16th Century, and since then has undergone many revisions for different times and places. But its original purpose has remained the same: To provide in one place the core of the instructions and rites for Anglican Christians to worship together. The Church, as a worshiping body of faithful people, has for two thousand years amassed experience of God and of loving Jesus. The traditions of the Church in interpreting Scripture connect all generations of believers together and give us a starting point for our own understanding. The Anglican Communion comprises some forty autonymous churches throughout the world, and the Episcopal Church is one of these. 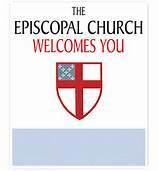 We don't refer to the "national church," however, as the Episcopal Church has dioceses in numerous countries besides the United States, including Haiti, Colombia, the Dominican Republic, Central Ecuador, Litoral Ecuador, Honduras, Venezuela, Taiwan, and Europe. Each Diocese has a Bishop (and sometimes one or more assisting bishops), and a number of congregations, called either a parish (if self-sustaining) or mission (if subsidized). Each parish is governed by a Vestry, a team of lay persons led by the Rector. A Rector is the chief (and often only) priest of a parish. A Vicar is the priest of a mission congregation, as technically the Bishop is the Rector of such congregations.